Tu te laves les mains? Nous nous lavons le soir. We wash in the evenings. Vous vous lavez tous les jours. Ils se lavent tous les matins. Nous nous lavons le soir. Ils se lavent tous les matins. Why use 'le soir' not 'les soirs' in that sentence? What is the difference? In French, the singular "le soir" already means "generally in the evening". You don't usually use the plural, except if you use an expression like "tous les soirs". Je me suis lavé les mains ce soir. -- I washed my hands tonight. Je me lave les mains le soir. -- I wash my hands at evening (meaning generally, all evenings). Je me lave les mains tous les soirs. -- I wash my hands every evening. Stress on certain parts of a sentence. 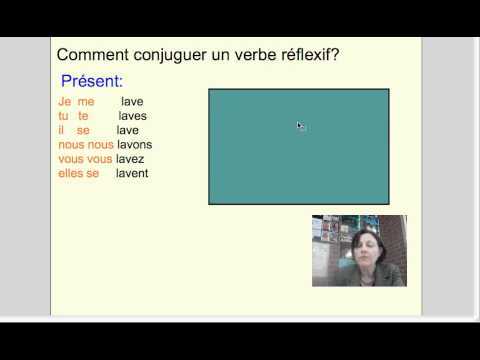 In a lot of the French sentences on Kwiziq, the stress sounds like it is on an odd part of the sentence and I can't figure out the pattern. For example, in "Tu te laves les mains?" above, the word laves is stressed in the recording. And the voice doesn't rise at the end like I would expect for a question. Is that how the question would really be spoken in French? Is there a section here that explains which parts of a sentence are normally stressed? French is a syllable-timed language, where syllables take roughly the same amount of time to pronounce. In the sentence you mention your voice would rise at the end to indicate it is not a statement but a question.